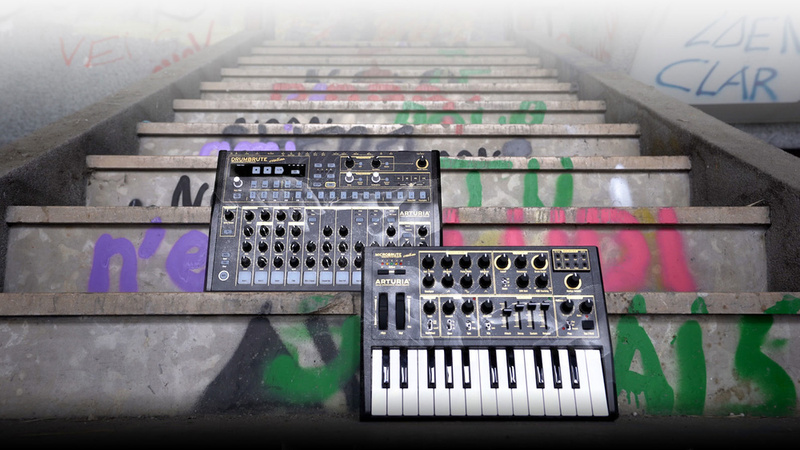 Arturia have today introduced two new limited edition versions of their modern analogue classics, the DrumBrute drum machine (reviewed in the December 2016 issue) and the MicroBrute synth (February 2014). While the ‘Creation Editions’ still have the same features and functionality as the original devices, they have a striking new look. Emblazoned with a shadowy recreation of the iconic fresco, The Creation of Adam by Renaissance master Michelangelo, and decked out with stark metallic, high-contrast livery, DrumBrute Creation and MicroBrute Creation look bolder than ever. DrumBrute Creation, as with the original, packs 17 unique analogue drum synth sounds, each with their own dedicated sequencer channel and discrete output, letting you have ultimate control of your groove and sound. It also lets you process each drum sound differently to create a kit that’s unique to your and fits your music perfectly. Its performable sequencer lets you breeze through beat-creation, and its live controls let you add beat-repeat flourishes, analogue filter sweeps, and more. The MicroBrute Creation, meanwhile, features a two-octave keyboard, sequencer, wave-shaping oscillators, an acidic filter, CV connectivity, a mod matrix, and the all-important Brute Factor circuit — all in the same footprint as a piece of A4 paper. Its simplicity of layout makes it a great instrument to learn the basics of synthesis but has enough features to keep even the most experienced synthmaster curious. Although the Creation Edition devices are limited in quantity, they still carry the same price tag as the regular instruments. 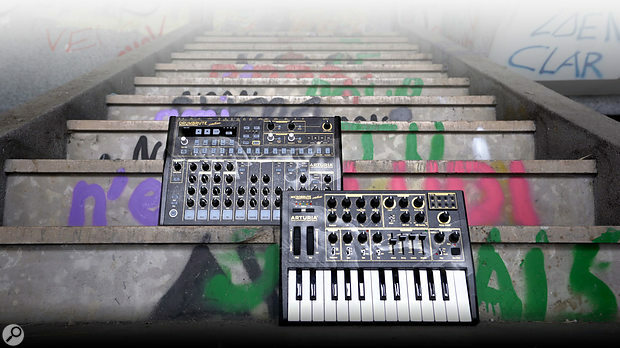 That makes the DrumBrute Creation £395 and the MicroBrute Creation £259. They’re expected to be available in July.